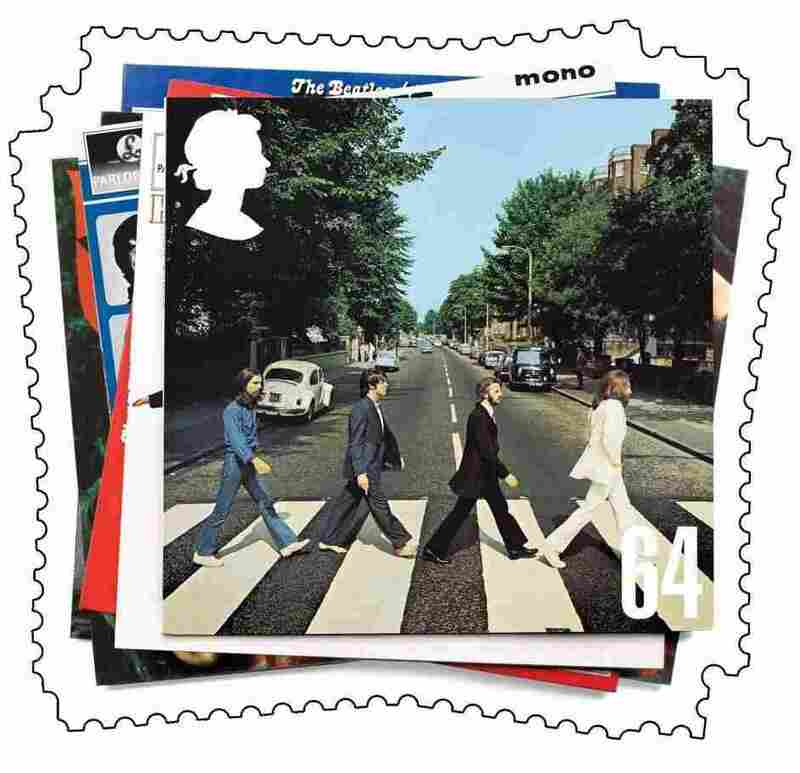 Britain released a stamp in 2006 honoring The Beatles. The original zebra crossing, where the photograph was taken, was moved several metres for traffic management reasons more than 30 years ago, and no original features remain. The London Evening Standard says many fans honored the band today by crossing the road. Heck, you don't even have to really be there. 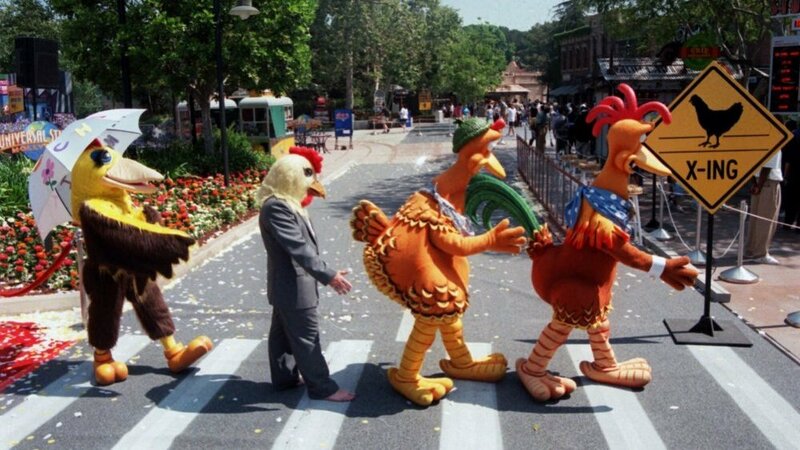 Characters from the Universal Studios' movie "Chicken Run" mimic the Abbey Road crossing at Universal Studios, Calif.